Mignon Talbot and the forgotten women of Paleontology. | Letters from Gondwana. ← The Poetry of the Ice Age. The nineteenth century was the “golden age” of Geology, and women began to play an important role in the advance of this field of science. They collected fossils and mineral specimens, and were allowed to attend scientific lectures, but they were barred from membership in scientific societies. It was common for male scientists to have women assistants, often their own wives and daughters. A good example of that was Mary Lyell (1808–1873), daughter of the geologist Leonard Horner and the wife of eminent geologist Charles Lyell. But for most of men, the participation of women in geology and paleontology was perceived as a hobby. Mary Anning (1799-1847), was a special case. She was the most famous woman paleontologist of her time, and found the first specimens of what would later be recognized as Ichthyosaurus, the first complete Plesiosaurus, the first pterosaur skeleton outside Germany and suggested that the “Bezoar stones” were fossilized feces. Scientists like William Buckland or Henry de la Beche owe their achievements to Mary’s work. William Buckland himself, persuaded the British Association for the Advancement of Science and the British government to award her an annuity of £25, in return for her many contributions to the science of geology. Thanks to the pioneer work of these women,the twenty century saw the slow but firm advance of women from the periphery of science towards the center of it. Unfortunately, most of these early female scientists were forgotten and none of them reached the fame of their most illustrious predecessor, Miss Mary Anning. Mignon Talbot was born in Iowa, on August 16, 1869. She studied geology at Ohio State University. 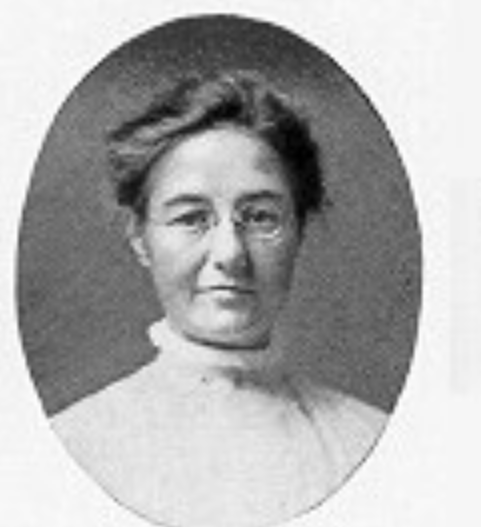 In 1904 she received a Ph.D. from Yale and then joined at Mount Holyoke College, where she became Professor of Geology and Geography until her retirement in 1935. During her years at the faculty, she amassed a large collection of invertebrates fossil, but published few technical papers. In 1910, she became the first woman to find and describe a dinosaur: Podokesaurus holyokensis (swift-footed saurian). In 1911, she published a scientific description of the fossil. She wrote: “In a bowlder of Triassic sandstone which the glacier carried two or three miles, possibly, and deposited not far from the site of Mount Holyoke College, the writer recently found an excellently preserved skeleton of a small dinosaur the length of whose body is about 18 cm. The bowlder was split along the plane in which the fossil lies and part of the bones are in o half and part in the other. These bones are hollow and the whole framework is very light and delicate“. 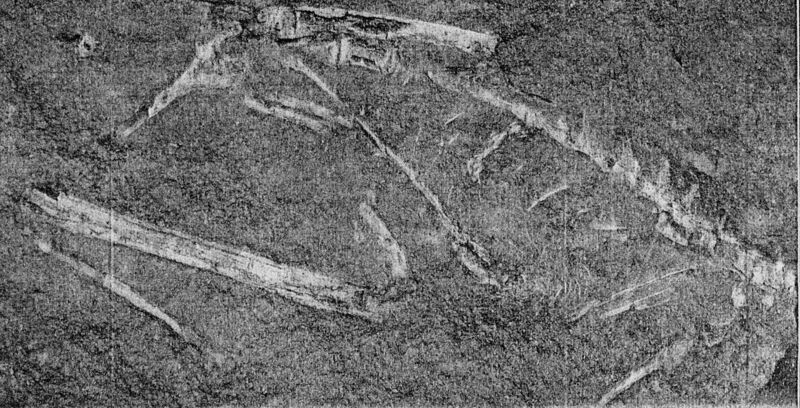 At the time, she was mentored in her investigation by Richard Swan Lull, who suggested that this dinosaur was insectivorous (although, Talbot identified it as a herbivore at a meeting of the Paleontological Society in December 1910). Unfortunately, in 1916, a fire destroyed the science hall and the only specimen of Podokesaurus holyokensis. She died on July 18, 1950. Johanna Gabrielle Ottilie “Tilly” Edinger was born on November 13, 1897 in Frankfurt, Germany. She was the youngest daughter of the eminent neurologist Ludwig Edinger and Dora Goldschmidt. She studied at Universities of Heidelberg, Frankfurt, and Munich. In 1921, she received her Ph. D at the University of Frankfurt. When she was preparing her doctoral dissertation about the palate of the Mesozoic marine reptile Nothosaurus, Edinger encountered a skull with a natural brain cast. Her early research was mostly descriptive and she was influenced by the work of Louis Dollo and Friedrich von Huene. 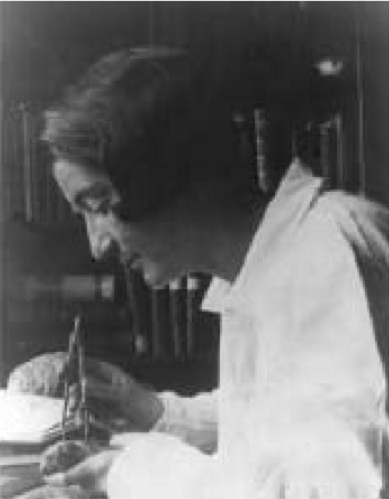 In 1929, she published Die fossilen Gehirne (Fossil Brains), the book that established Edinger’s membership in the German and international paleontological communities. She briefly worked at British Museum of Natural History after the events that followed the infamous “Kristallnacht” (Night of the Broken Glass). In 1940, with the support of Alfred S. Romer, she moved to Massachusetts to take a position at the Harvard Museum of Comparative Zoology. Shortly after, she was the first and only woman who attend the founding meeting of the Society of Vertebrate Paleontology (SVP). By the early 1950s, she was not only the major contributor to the field of paleoneurology but also the mentor to a younger generation that was following in her footsteps. She died on 27 May 1967 in Cambridge, Massachusetts. Kass-Simon, Gabrielle; Farnes, Patricia; Nash, Deborah, eds. (1999). Women of science : righting the record. Bloomington, Indiana: Indiana Univ. Press. This entry was tagged Earth Sciences, Geology, History of Science, Mignon Talbot, paleontology, Podokesaurus holyokensis, women in science. Bookmark the permalink. On female paleontologist Mary Anning, see here. Pingback: Things That Could Have Gone Better | Play First. Talk Later.